Oracle has reported $9.6bn revenue for the second quarter of the 2014-15 fiscal year. The supplier picked out its cloud revenue growth of 45% to $516m, encompassing software as a service (SaaS), platform as a service (PaaS) and infrastructure as a service (IaaS). Cloud made up 5.4% of total takings for the second quarter. Cloud revenue for the first quarter of 2014-15 was 5.5% of the supplier’s overall sales – $475m of $8.6bn. Elsewhere, hardware sales were up by 1% to $1.3bn. Hardware has been a drag on Oracle’s finances since the acquisition of Sun Microsystems in 2009, but the IT supplier's third-quarter results for 2013-14 finally saw revenue growth with an increase of 3%. Generally accepted accounting principles (GAAP) operating profit was up by 4% to $3.5bn, and the GAAP operating margin was 37%. Non-GAAP operating income was up by 3% to $4.4 bn, and the non-GAAP operating margin was 46%. GAAP net profit was down by 2% to $2.5bn. Oracle co-CEO Safra Catz said the company continue to deliver "industry-leading" operating margins despite adding thousands of specialised sales people and engineers, who were needed to accelerate growth in the firm's cloud business. 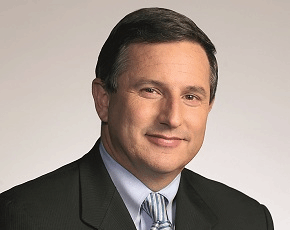 Fellow CEO Mark Hurd (pictured) said new cloud bookings in the second-quarter grew at a rate of more than 140%. “We now have more than 600 enterprise resource planning (ERP) Fusion Cloud customers – that’s five times more ERP customers than Workday [a cloud-based HR software competitor],” he said. Oracle chairman and CTO Larry Ellison said by the fourth quarter of 2014-15 the company expect new cloud bookings to exceed $250m.